The North West Championship shall be played on 7& 8 March 2015. The championship also counts as a qualifier for the MSSA's National Team Trials. Even though the IeSF has, as yet, not announced all the titles that will be played at the 7th World Championships - Lodz, the IeSF has already announced that CounterStrike GO and Dota 2 shall be played at such event. Thus the MSSA shall at least select a Protea Team for CS GO and a Protea Team for Dota 2. 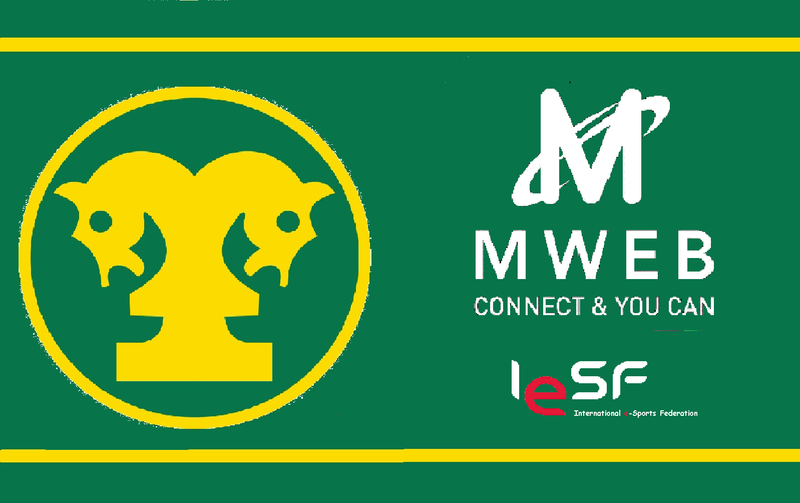 Registrations are thus open for MSSA's MWEB 2015 North West LAN Championships. Registrations will close on the 4 March 2015. Players who wish to compete in any of MSSA's Championships are advised to complete their annual registration forms so that they may registered as Registered Players as soon as possible. Late entries will be accepted in exceptional circumstances. All gamers are reminded that the North West championships is an open championship.In other words any registered player is entitled to enter the championship – no matter where they live, or their category of membership. If you have any queries, please contact the MSSA. Computers: Bring your own. Please ensure that all game updates are done prior to arrival. No updates shall be done at the event. Rules and Regulations: All Rules and Regulations pertaining to eSports are available from the MSSA. Players are strongly advised to familiarise themselves with the LAN League Bylaws and all Period Specific Rules. If any Player wishes to provide advice regarding the drafting of the Period Specific Rules they are encouraged to contact the eSBoC who will take all comments into account. UNIVERSITY:Medals shall be awarded to the first three players who are currently registered at any officially recognised University, provided the players have not received any Premier Medals. Please note that the MSSA does not carry stock of shirts that are awarded. Registered Players who are awarded colours will thus be awarded at an event that they attend after being so awarded. Northcliff High School has a long history with Mind Sports South Africa having affiliated back in 2008 when most schools viewed eSports with just a little bit of disdain. Fortunately though, the forward thinking headmaster immediately saw the possible benefits of eSports and gave his full backing to the club and to Noelene du Toit (the teacher in charge). As a result, the club at Northcliff High School played host to top international StarCraft player Silvui 'NightEnd' Lazar in 2013. The school too has consistently produced a plethora of players who have earned their Senior and School Provincial Colours. However, none stand out as much as Ian Pillay and Robert Botha who went on to represent the South Africa in the Protea Team. Although Ian only did one stint in the Protea Team in 2010, Robert Both at went on to earn himself 11 caps as a member of the Protea Team between the years of 2010 to 2013. Robert then went on to become the only professional gamer ever produced by South Africa. 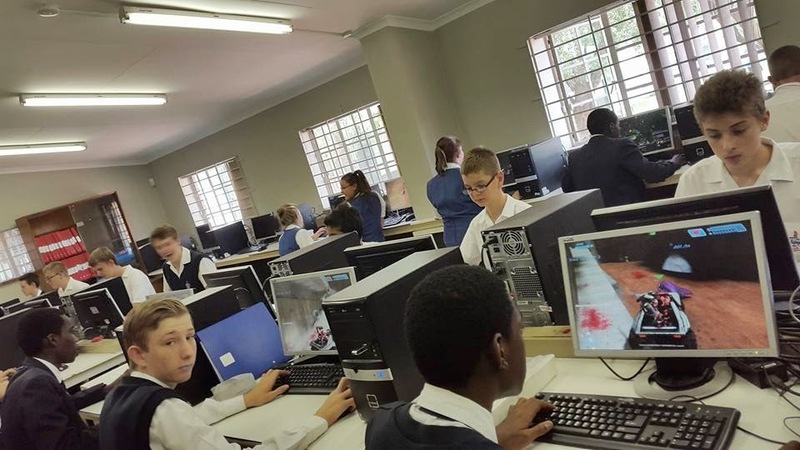 The Northcliff team was able to build on the success of the past by finishing in third place in the 2014 MSSA Inter-school eSports League just behind St John's college (in 1st place), and Crawford College – Sandton (in 2nd place). Thus under the ever watchful, and stern, eyes of Noelene du Toit, Northcliff High School is readying themselves for battle in the 2015 Championships. The team for 2015 consists of seventy-five gamers of whom six are females. So you want to be a Pro Gamer? I am always amazed that people entering into the world of competitive gaming expect gaming to be somehow different from the other more traditional sports. As with the other sports, being a professional sportsman is not all about fun and playing for fun. It is all about hard work – just like any other career that is from 9H00 to 17H00. Of course you must enjoy it if you want to get the most out of it, but it is all about hard work, and like anything else, there will be the moments when you have been knocked to the ground and when you wonder why you are even doing it. That is the moment that the champions are separated from the losers, the champions will immediately get up and carry on. Take care in picking your game. Picking a game is the first important step. You should be almost blinkered in choosing your game, and when you play it, you should learn as much as possible about the game that you have chosen. Any other game that you play should also feed into the game that you have chosen so that the recreational games, while different, also hone the tactics/strategies/ or other skills that you use in your primary choice of game. The game that you choose should also be a game that is played on an international level. There is no point in choosing a game that is only played within a small group, or one that will be redundant within 12 months as you will then be limiting your own earning potential. Choose the long-road. So many people entering gaming choose the short-road that offers what appears to be quick returns. This is the wrong approach as the quick returns are often not substantial nor sustainable. The long-road, although harder will give greater returns for a longer time period. Thus PandaTank instead of going to play in the DGC competition at rAge in 2011 and 2012, he went to the MSSA National Team Trials. By forgoing the quick-fix of the limited prize money, PandaTank was able to compete in the 3rd & 4th IeSF World Championships in South Korea where he was noticed. By being noticed at such a level thus allowed him to fly to the USA, France, and Sweden. Not only that the long-term view that PandaTank took, meant that he would become the first ever South African gamer who would be paid a salary to play as a full-time career. Stay motivated. Being a professional gamer is hard. There are contractual obligations in terms of guest appearances, the number of championships that you have to play as well as even in what position you finish in said championships. Then you will have to face the critics which will range from your own family through to friends, bloggers and journalists. At times it seems more than daunting. But remember that you are doing what you want to, and that you should be absolutely blinkered about it, and put your choice above everything else. Practice, practice, practice - perfectly. The first thing you must do is set aside the time in which you practice, and then, keep to it! Nothing must come between you and your practice, not your friends not a good night out, not a birthday, nothing! In the practice sessions you must draw up a schedule for improving you reaction speed, knowledge of the game, knowledge of the maps, how others play the game. The discipline that you learn from a well structured practice schedule will treat you well in a competition environment and in later life. Get the correct equipment. Just as you would not take a Mini Cooper into a F1 race, the incorrect equipment can hamper your chances of success. eSports is a sport of nanoseconds, and, equipment that is outdated or not of the proper standard can be the difference between winning or losing. Even having the proper equipment while you are travelling to or from competitions is important as you do not want to miss the opportunity for every possible opportunity for training. Find the right team. Once you have established yourself on an amateur level as a competitive gamer, find the club that treats you as a true professional gamer. Do not go to the clubs that offer 'flash', that is, equipment and other freebies. Look for the club that offers a salary and meets with the legal requirements of such. Remember, this is your career and you need cash on the table. You cannot eat gifts, hard-drives and such, you need cash to pay for your living expenses. A club/clan/team that does not pay a salary is not a professional team, it is merely a bunch of amateur players who think that they are professionals. Also, choose a team that is close to you if it is a team game that you are playing as you will need to practice together. Enter tournaments. As soon you get your gaming equipment, start playing in LAN championships. Sure you will lose at first, but the championships are a good way of preparing you mentally for those big games and for you to develop your big match temperament (BMT). Keep a book with you, and at the end of every game write down what you did right, what you did wrong, as well as how you feel you could have done better. Play as many LAN championships as you can as you will build up a reputation of being dutiful and passionate about the game you play. Get sponsored. In all sports, athletes benefit from sponsorship. Many years ago I had the privilege of working with Corrie Sanders, and even though the prize-money that boxers win puts gaming to shame, Corrie still made sure that he was sponsored by reputable companies. To get a proper sponsorship, you can do it yourself, or you can go to an accredited sports agent. Gaming can be a legitimate career path for those who are serious about it, but gaming is still in its embryonic stages in South Africa, so it will be hard, but it can be done! To host, or not to host! I am aware that in 2010, the MSSA had a meeting with the owners of DreamHack (in Johannesburg) about bringing DreamHack to South Africa. The meeting was common knowledge at the time. However, due to the lack of the gamer's enthusiasm, the event was shelved. Anyone who has been around for a long time will understand how government works and the impact that international events have on increasing membership as well as the burden that such an event puts on the organisers. Often those involved in running an international event exhibit all the signs of burn-out after the event and are sometimes physically ill from the stress and work-load. The people who do the work are often volunteers who do both their normal jobs as well as other MSSA activities. Thus to effectively host an event, there needs to be a local team that is going to do most of the work as well as get assistance from the municipality and the provincial government and/or the provincial sports council. However, from what I know, the MSSA would like to be able to assist any bid for an international event to be held in South Africa, but there are some legal requirements that the MSSA, and all other sport bodies, have to meet before bidding for any international events. In order to comply with those requirements, the MSSA has drawn up a checklist which bidders need to work through and complete fully in order for MSSA to make a proper decision. 1.1 Must be duly registered with MSSA. 1.2 Have a minimum of 3 members. 1.3 Must by able to prove that it is active, for example through participation in MSSA activities. 2. Application must be accompanied by provisional written endorsement by (a) the local municipality, and (b) the provincial sports department. overseas to an IeSF event, I too see the usual critics exclaim “Why can't we have it here?”. either authority indicates that its rules dictate that it will only deal with the national federation, this must be indicated in the application. The endorsement must indicate what financial or logistical support, if any, will be provided. 3. The proposed venue for the tournament/championship must be provided, together with written confirmation that it is available on the proposed dates. 4. A list of proposed hotels where the competitors, officials and international delegates will be housed, together with their grading and room rates. International travel for competitors, officials and delegates. Domestic travel for competitors, officials and delegates. Transport within the host city from the airport, to hotel and to venues. Per diems or other expenses for Stationery, telephone and other miscellaneous expenses. 6. What anticipated media coverage will there be (including online streaming, etc)? 7. What will the anticipated spectator interest be? 8. What legacy programmes are envisaged: ie how will the country and the host city/province, in particular, benefit from hosting the event in the long term. (Please do not include claims of economic benefits unless there is ample evidence to back this up.) Specific reference must be made to the increased exposure of the discipline involved and how hosting the championships/tournament will increase player numbers in a sustainable manner. Any club that can provide the MSSA with answers to the above questions may have their bid evaluated. Few, if any will, meet the above criteria. The MSSA has sent out all the documents necessary for registering with MSSA and entering the 2015 edition of the MSSA's on-line inter-school league. Entries for this year close on 16 March 2015, so we really hope to see you this year or next year. Please too join up on the Facebook pagehttps://www.facebook.com/groups/1676447775912809/ where teachers and team captains often discuss friendly matches and technical details. Pass this link on to your players as well! The bye-laws contain all the rules needed, however, here is a little clarification on how the league will work. The league shall be played to the Swiss tournament system similar to the one used in Chess, (winners play winners), with one match per every two weeks. Each school can have as many teams as they wish as long as there is no cross-over of players, so each student enters for one team only. The reason for this is partly logistical as games might be played at the same time, but also because it impacts on a team’s chances of being chosen to represent South Africa. This means a school can enter two or three Dota 2 teams, for example, but a single player cannot be in the Dota 2 team and the CS: GO team, because these might be played at the same time. A school does not have to enter in all the categories, of course, but it increases your chances of picking up points. Points will be awarded on the basis of the number of entries for each game, so if there are ten team entries for the Dota 2 category, the winner will get 10 points, second, 9, etc. To play the school needs to be affiliated to Mind Sports South Africa, and each player needs to also be registered with Mind Sports South Africa. Affiliation fees for the school are R100.00 per annum, while registration fees are R5.00 per player. Once affiliated and registered the school is able to enter any/all MSSA leagues and tournaments, and to be eligible for the award of regional, provincial and national colours – all of which can significantly impact students’ chances of getting bursaries for tertiary study. Mind Sports is a category one sport, and many universities offer sports bursaries to eSports players! In 2014 young Elishia Retief of Hoèrskool Linden made her mark on the sport of wargaming in South Africa. Seemingly without effort Elishia won all the female sections in which she played and, almost effortlessly was selected for the MWEB sponsored Senior Protea Team that participated in the 17th World Individual Championships – Maseru. The first championship in every calendar year, always begins with the Old Edwardian Wargames Club's Championships which was in its 23rd year. Even though this is only a club championship and does not even count for rankings and team selection, all the top players attend this event in order to hone their skills for the new season. Thus it is not uncommon to see most of the people who have represented South Africa there, and thus Elishia was there too. It was therefore, no surprise to see Elishia win the championship and set the bar. It is quite exciting to see whether Elishia can keep her form and fend of all challenges in yet another year. When Jason Batzofin of St John's College earned his place in the junior 2014 MWEB sponsored Protea Team for wargames that participated in the 17th World Individual Championships – Maseru, little did he know that he would get a taste for victory, and like it! At such World Championships, Jason fought his way through to first place, but doubts lingered about his prowess without the presence of the 2013 Junior World Champion , Adam Louw, who was unable to make the event. Nevertheless, Jason was not deterred and such criticism made no impact on him whatsoever. Thus at the 28th MWEB SA National Championships held at the University of Pretoria, Jason was determined to put his critics to bed. Jason not win the junior title, Jason wrestled the senior title away from the 'Old guard' in one of the most controversial finishes of all time. There was no doubt that Jason deserved to win, but his critics were far from silenced. Thus it was no surprise to see Jason enter the Old Edwardian Wargames Club's Championships which was in its 23rd year. Even though this is only a club championship and does not even count for rankings and team selection, all the top players attend this event in order to hone their skills for the new season. Hardened veterans of the South African wargames scene were present, but Jason feared for naught. Jason took them all on, and beat them all to finish on a near perfect score of 18/20 with 20/20 being a perfect score and again took the Premier section. The win has thus confirmed Jason as a major player in wargames, and the man to beat in 2015. Thus with one of the most prestigious awards under his belt, Jason has set his sights on all the major championships in South Africa as well as on being selected for the senior Protea Team. Jason has become the giant-killer! Nominations for the 2015 Ekurhuleni Sports Awards are now open. Nominations for the 2015 Ekurhuleni Sports Awards are now open and individuals, clubs and organizations are invited to submit their candidates for the awards before February 27. The City of Ekurhuleni is committed to recognize sporting excellence in the region and to reward those who represent Ekurhuleni nationally as amateur or professional sportspersons. The fourth instalment of the Ekurhuleni Sports Awards will see individual champions and those that belong to local sport associations, clubs walking away with the most coveted sporting awards. There is no doubt that the MSSA intends to nominate all their best players from their four disciplines, which will include players from eSports, Morabaraba, and wargames. Nominations are for the sporting achievements attained during the period starting January 2014 to 31 December 2014. Sports fan of the year. Mind Sports are indeed a sport! I have been asked to make the case for Mind Sports to be considered as a sport when it comes to the awards of half-colours and colours. I would like to exceed this brief somewhat, because in many ways the question is academic. Mind Sports is already recognised as a category one sport by the Department Of Sports and Recreation and by SASCOC in South Africa, and internationally by Sport Accord, the controlling body of world sport. It is thus a case of fait accompli, and in terms of my argument, Q.E.D! I would like to argue that Mind Sports should play an important part of any co-curricular programme whether considered a sport or not. Mind Sports include many different codes such as board games like Chess, Checkers, Morabaraba, Backgammon, Go or Diplomacy; card games such as Bridge or Poker, included by The International Mind Sports Federation after a US judge ruled Poker was not a game of chance; computer games such as DotA, League of legends, Tekken, FIFA and so on; historical wargaming; and role play games such as Dungeons & Dragons. eSports were included in the 2014 Asian Games, and may soon be part of the Winter Olympic programme. Mind Sports such as Chess, Checkers, Bridge and Go have been in included in the World Mind Games which follow the Summer Olympics and Paralympics, and the ways in which Mind Sports articulate with other sports is not only becoming clearer and more regularised every year, but the huge viewership and amount of money wrapped up in eSports in particular, makes this one of the fastest growing sports in the world. Although the question around whether eSports is a sport or not is only just emerging into the public debate, within the sporting community itself, at the upper reaches of decision-making at any rate, it is already a done deal! For many, though, the vision of Mind Sports such as Checkers or video-gaming as a sport is problematic, and I would like to argue this case on two fronts. I would like first to make the case for Mind Sports as an important part of any school’s co-curricular programme, fulfilling a role usually associated with physical sports, and secondly tackle the issue around whether it is indeed a sport or a recreational activity. Thomas Arnold’s argument for the importance of team sports in education still stands today as one of the central pillars of the modern education system. Few teachers would argue that sports are not a vital component of education, and schools which cannot offer sporting activities suffer for it greatly. Computer gaming is often characterised as anti-social and harmful. And yet a raft of research is now indicating quite the opposite. The emerging consensus is that up to three hours a day of video-gaming is actually good for you in terms of happiness, social-well-being, and would you believe it, even eye-sight! This is because video-gaming is essentially an intensely social activity, and for kids growing up in a world where they are discouraged from loitering in public places; online socialising, including gaming is a vital component in developing social maturity. Gaming, especially the more competitive team-based eSports such as DotA or CounterStrike, are games which encourage collaboration and team-work. A great deal has been written about the role of online gaming in treating autism, and I think it would be fair to say that in many ways computer gaming and muscular Christianity are not incompatible notions! I am not saying that DotA should replace rugby or hockey in terms of building body, mind and character, but I am saying that eSports, in a digital world, should be seen as equally vital in developing well-rounded, socialised human beings. James Gee has highlighted the ways in which computer gaming stands as an exemplary model for learning, and argues that schools should take heed of this. Jane McGonigall has argued cogently for the social significance of gaming, and no less a figure than Albert Einstein, himself a keen Chess player, believed that games are the “highest form of investigation”. This needs some unpacking. I was struck by a piece of research that came out recently which looked at what areas of the brain were activated during writing. While amateur writers, more concerned with whether to use this word or that had one area of the brain activated, professional writers were using the same area of the brain as is used during gaming, ie. the strategic decision-making areas. Professional writers are not concerned with word-choice; they are making strategic decisions about how to persuade their audience, what writing strategies to employ, the same kinds of decisions games-players make all the time. Knowledge is often conceived of as sitting on a continuum between highly abstract, universal knowledge such as algebra or the concept of relativity, and highly contextualised and experiential knowledge, as in History, Literature or Biology. Jerome Bruner argued that this dichotomy between paradigmatic and narrative modes of knowing is in fact a false dichotomy, and I think this is what Einstein had in mind. Beyond any knowledge of this or that, lies the meta-theory, and in this realm metaphor and narrative are the building blocks of knowledge. All knowledge is situated within a given paradigm, and knowledge is often advanced simply by shifting paradigm. A case in point would be the disagreement between Niels Bohr and Einstein over quantum physics. Einstein could not believe that God played dice with the universe and refused to believe in the possibility of any of the “spooky” effects of quantum mechanics. We now know that Einstein was wrong, but at the time both paradigms stood in stark contrast to each other, with different ways of explaining the universe, neither proven. When Gauss dreamed up his non-linear geometry he did not suspect that space might indeed be curved. Charles Boole had no idea his Boolean algebra would have applications for electronics. The venture into quantum physics, non-linear geometry or Boolean algebra were all game-like, what-if explorations which played with the conventional world-view. Games are meta-theoretical in that they approach questions around how to construct what is known into a coherent view of the world, they are ways of investigating the meaning of meaning! If we know this, what do we do with this knowledge? If it were this way instead of that way, what would it mean? This is the realm of intellectual history and the philosophy of knowledge. Knowledge does not stand alone, it stands within a tradition and within paradigms, and what I imagine Einstein meant by games as the highest form of investigation, are the tools we use to move beyond the straight-jacket of the paradigm. Now, I am not saying that Chess or DotA can be seen as somehow more important than Science, but playfulness is a form of investigation, and games in education are not just tools to engage, they are also cognitive tools. We are only just coming to appreciate this, and I would argue that gaming, including computer gaming should be seen both as a sport important in building character and as tools we can use for cognitive development generally because they enhance our ability to think strategically. I believe that games play is essential in developing problem-solving skills, and may help explain why boys seem better at it than girls. In many places Chess is being introduced into the academic curriculum with good effect, but I believe it would have greater effect to introduce a range of games. Different games address different aspects of general intelligence, which is why a good Chess player is not necessarily a good draughts player. Mind Sports includes a range of games, and all have their value and place. I believe all schools should be aiming at building body, mind and character, and that mind sports has an important role to play in this process. Not in isolation but together with academics and physical sports. But are Mind Sports, whether they be computer games or board games like Checkers, Go or Backgammon, or card games like Bridge, not recreational rather than sporting in nature? Maybe they have a place in the educational programme, but not as sports! Maybe they should be considered cultural activities rather than sport. The dictionary definition of sport usually goes something along the lines of “a contest or game in which people do certain physical activities according to a specific set of rules and compete against each other” (Merriam-Webster). There are usually three major elements to the definition and that is that it is physical, involves contestation, and is governed by a set of rules. Mind Sports easily qualifies in the latter two of these elements, so the issue really comes down to the definition of physical. All Mind Sports involve a physical element. Chess pieces are moved, cards are dealt, die are rolled, and mouse clicks are made. We have not yet achieved a state in which our minds can exist independently of our bodies. All sports have a mental aspect and a physical aspect, and this should probably be inserted into the definition. In some eSports hand-eye co-ordination is crucial, but clearly there is not necessarily a high level of physical exertion required, although stamina is always crucial. On the other hand we need to understand that the level of physicality required of any sport sits on a continuum from heavily physical sports such as swimming to those with less exertion such as darts or pistol shooting! eSports certainly require a greater level of hand-eye co-ordination than some sports which require only exertion – such as nurdling or caber-tossing! One can see that the argument then revolves around whether pure physical exertion (running) or hand-eye co-ordination (clay-pigeon shooting or archery) is more integral to one’s definition of physicality. Given that physicality is only one element in the definition of sport, and that all sport is both mental and physical to some extent, it is easy to see why Sports Accord, the umbrella body for world sport, Olympic and non-Olympic sports, has accepted Mind Sports into its fold. So why should Mind Sports be considered sports in schools rather than cultural contestations such as debating, theatre sports or poetry slams? I believe that Chess, for example, or eSports both involve very similar dynamics in terms of a rule-governed contest to sports which is somewhat different to the contestation of a debate or public speaking. Firstly the logic of the contest in a debate or poetry slam is usually more about the performance than the result. While a school may be declared a winner, it is usually by adjudication rather than by a rule-governed outcome. In eSports or Checkers, players win the game every bit as much as they do in netball or tennis! You do not need an adjudicator to decide who won or lost. Secondly, Chess or DotA shares with rugby or cricket the aspect of being a game, a common vocabulary, conventions of running leagues, tournaments and matches, with notions of a season, regular fixtures and medals, cups or trophies to be won. Debating leagues are run somewhat differently. For all these reasons, I would argue that schools need to recognise Mind Sports as a full sport!